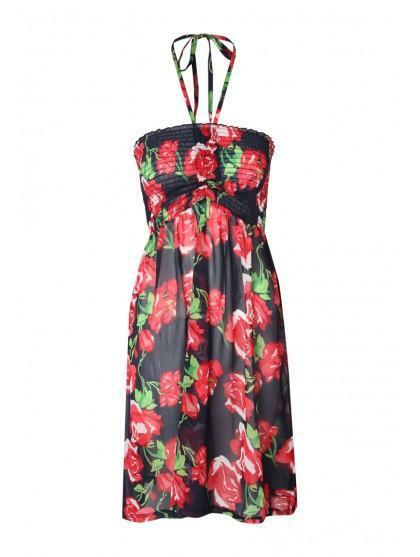 Get ready for the beach with this shirred beach midi dress. Ideal for slipping on over bikinis or swimming costumes. 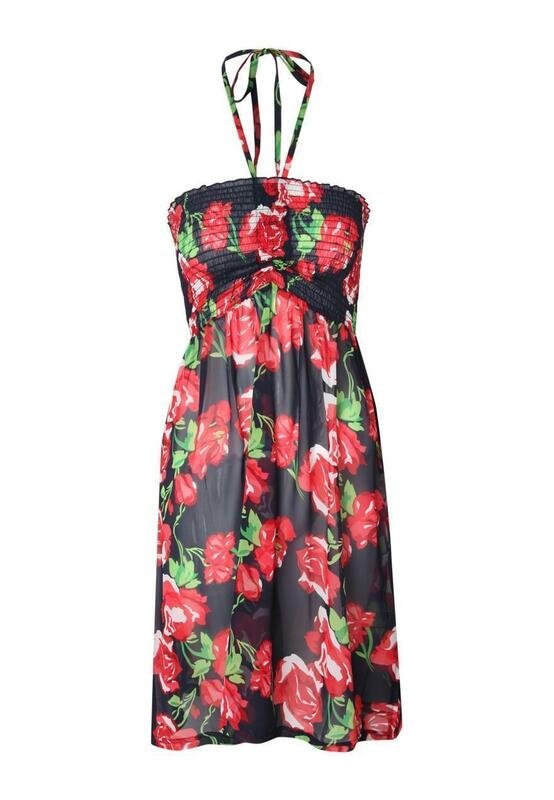 Featuring a shirred top, cropped length and halter straps this dress is lightweight and perfect for keeping in your beach bag.